Earn 0.50 Weta Dollars! What's this? 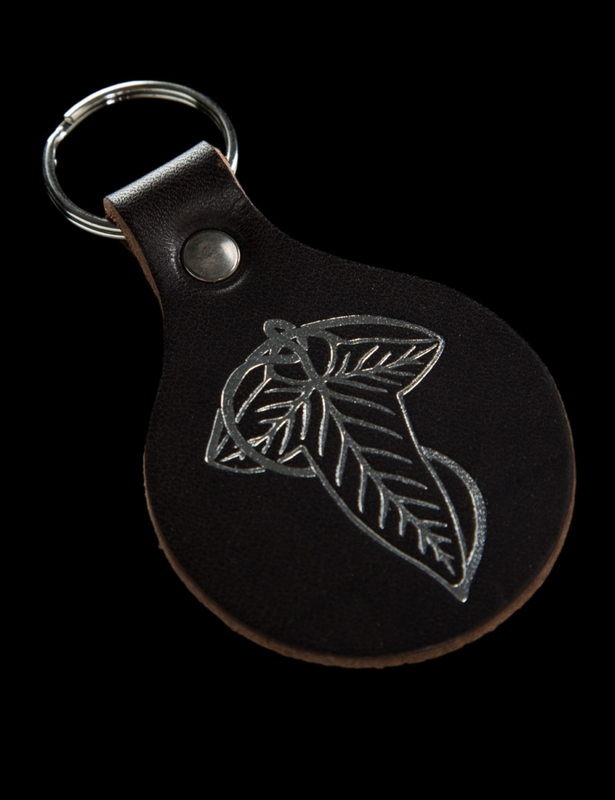 High-quality leather keyring embossed with an intricate Elven leaf design. 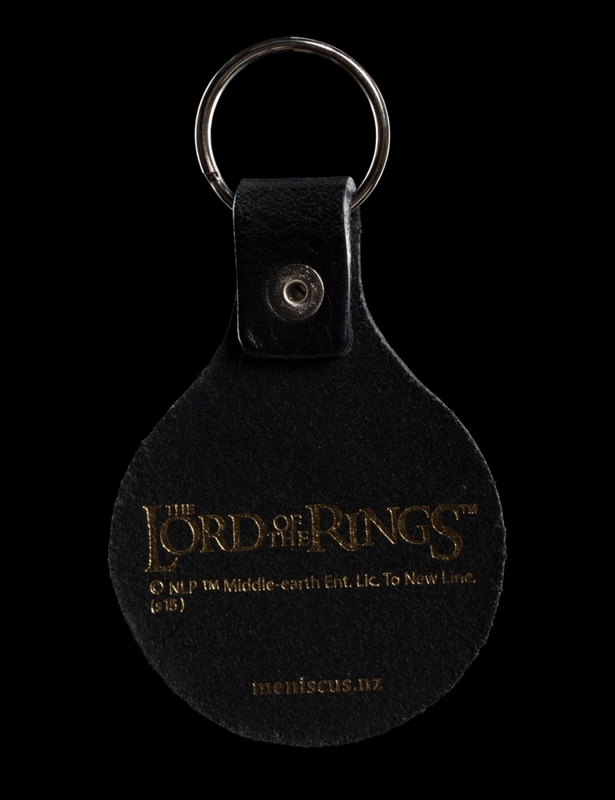 A beautiful piece of leatherwork from Meniscus Leather Goods, the same talented craftspeople who contributed leather pieces for The Hobbit motion picture trilogy. 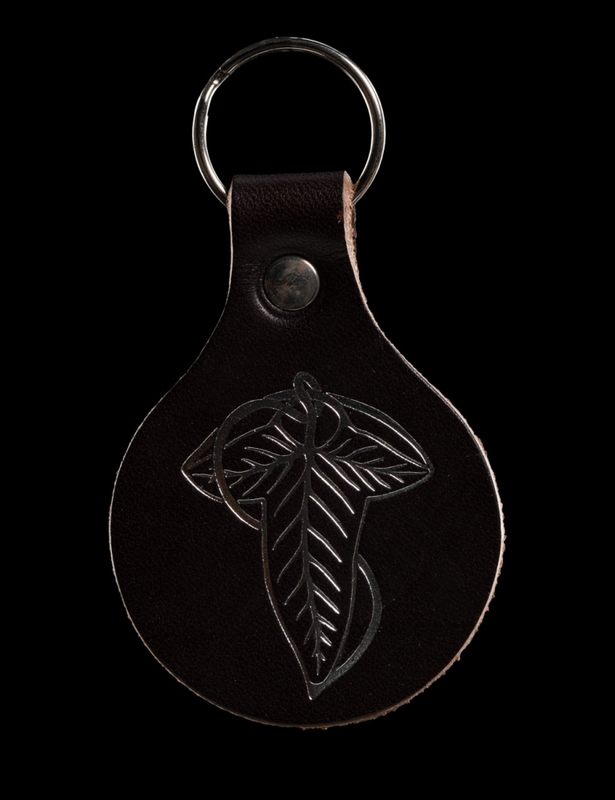 This gorgeous keyring from Meniscus Leather Goods is made from hand-dyed and polished vegetable-tanned leather. A natural product with unique colour and texture variations, no two keyrings are the same!